I know: You love your book group. I love your book group too. I am so grateful to you all for choosing and reading this book. I'll provide the story and the Reading Group Guide. You provide the readers. (And the wine.) It is sometimes possible for me to join you via Skype or Facetime or similar. Contact me if you're interested. "Frankel's slightly askew voice...keeps the narrative sharp and surprising. This is a wonderfully contradictory story—heartwarming and generous, yet written with a wry sensibility." This is how a family keeps a secret...and how that secret ends up keeping them. This is how a family lives happily ever after…until happily ever after becomes complicated. This is how children change…and then change the world. When Rosie and Penn and their four boys welcome the newest member of their family, no one is surprised it’s another baby boy. But at least their large, loving, chaotic family knows what to expect. But Claude is not like his brothers. One day he puts on a dress and refuses to take it off. He wants to bring a purse to kindergarten. He wants hair long enough to sit on. When he grows up, Claude says, he wants to be a girl. Rosie and Penn aren’t panicked at first. Kids go through phases, after all, and make-believe is fun. But soon the entire family is keeping Claude’s secret. Until one day it explodes. 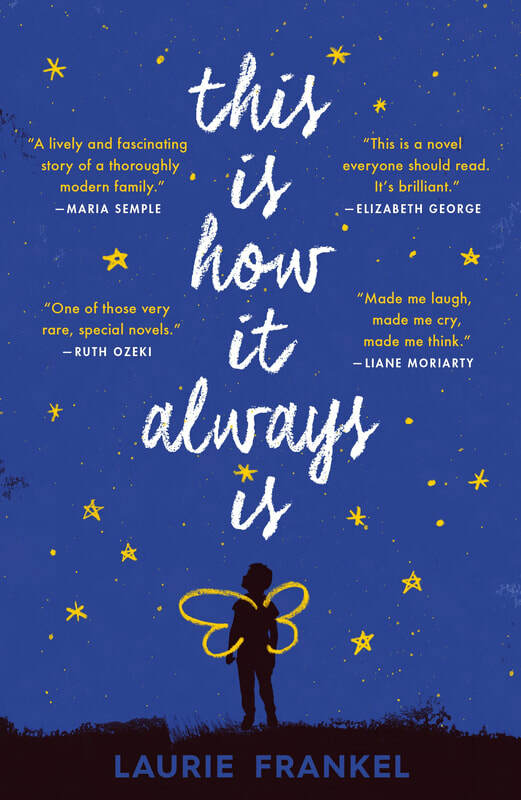 This Is How It Always Is is a novel about revelations, transformations, fairy tales, and family. And it’s about the ways this is how it always is: Change is always hard and miraculous and hard again; parenting is always a leap into the unknown with crossed fingers and full hearts; children grow but not always according to plan. And families with secrets don’t get to keep them forever. 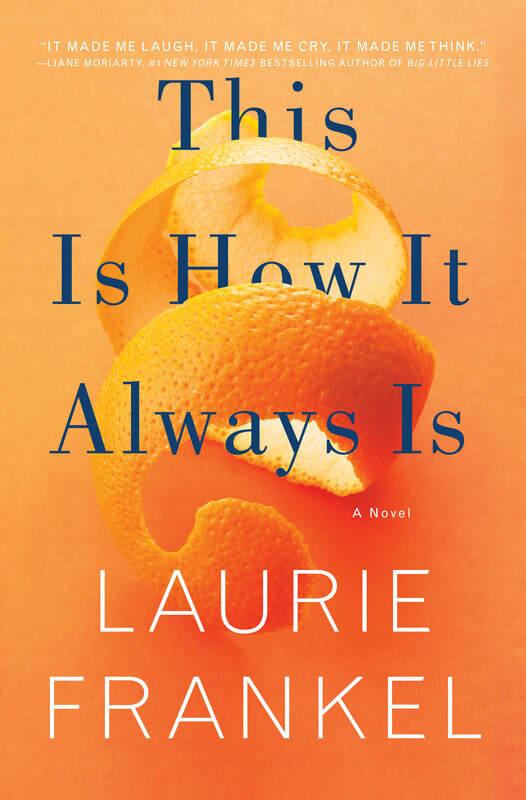 ​"A carefully tooled narrative that is expansive, perceptive, and gracious; dialogue that is both witty and deep; characters who are remarkably self-actualized...In an age of increasingly divergent opinions about practically everything — policing tactics, immigration, public restrooms — how refreshing it is — how nonconforming — to encounter a book about finding a middle way." "A novel of great empathy and compassion that transcends politics...This is a family that you will take into your heart and — like all friends — you will welcome the changes that they bring to your life." "This is How It Always Is in an incredible read that speaks to the heart of what it means to love and be loved by family." "Brave, complicated, occasionally horrifying and frequently very funny…Frankel is a first-rate storyteller." 1) These are just starting points. If they're not your bag, keep looking. And 2) gender nonconforming is an excellent way to be. Here's a piece I wrote for the New York Times' Modern Love column about my own journey with my own kid. Here's a letter I wrote to early readers about why this story is so hard to tell and why I did it anyway. 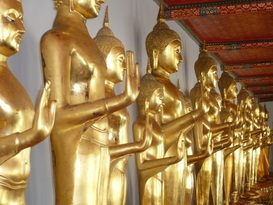 Talk-To-The-Hand Buddhas dispelling fear...inspiring, no? ​To research this book, I traveled all over Thailand and visited the incredible, humbling Mae Tao Clinic on the Thai-Burmese border. They are doing truly awe-inspiring work there. It is much, much better run and organized than the fictional clinic I made up for this book, but it is just as wonderful a cause and in just as much need of support. A portion of proceeds from this book will be donated to the Mae Tao Clinic. If you are so moved, they would do wonderful work with your donation. You can see more pictures here.